The Friday Breakthrough is a weekly roundup of some of the internet’s best marketing and social media articles for a less-than-intense day at the office. 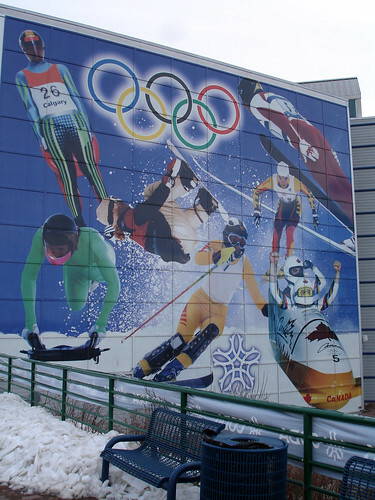 Marketing folks are taking advantage of the Olympic buzz in Canada by creating sports-themed advertising at an unprecedented rate. The only problem is that very few of these Olympic hype artists are official Olympic sponsors. ‘Ambush marketers’ fuel Olympic ad concerns. Like this story states, there are more than 100 million blogs on earth, and it’s no stretch to say that most of them are poor. WordPress co-founder Matt Mullenweg picks his 10 favourite blogs. He must have temporarily forgotten about his favourite Ottawa marketing blog… right? Ten blogs to make you think. Inspired advertising and a solid public image has led to an influx of recruits for the Canadian Forces infantry regiments–so many that they can’t accept everyone who applies. I would argue this phenomenon has more to do with the constant stream of press that the CF is receiving with the war in Afghanistan, but in any case, it’s been a boon for Canada’s military. Coca-Cola is taking its advertising message to the streets, signing up buskers in the London Underground to sing its Christmas jingle during the Holidays. The buskers will perform in Coke-branded areas and receive incentives for singing Coke’s tunes. I would love to see the buskers on the streets of Ottawa get a little more coin in their hats, even if it was in the form of a cheque from Coke. Are you feeling overwhelmed by all the Olympic-themed advertising lately? Leave a comment or send us a tweet @marketingottawa.